You know that certain week of the year that comes after Christmas and takes all of our money... Yeah, I got caught up in the sales. OOPS! Don't judge me, you got sucked in too, admit it. A couple of items I got weren't in the sales (lol, why does that always happen?) but I wanted to include them anyway because everyone loves a haul! The more items the better, right? *Loud squealing* I FINALLY BOUGHT MYSELF THE NAKED SMOKY PALETTE. This little beauty came right from the Feel Unique sale... I mean when you see a Naked palette that's reduced in price, it's pretty hard to say no. I spent days debating with myself whether or not I should buy it but lemme tell you, it was totally worth it. Student discount is a very useful thing! 2016 is the year I will master a smoky eye. Since Kiko opened a store in the Trafford Centre a few months back, I've been practically restraining myself from buying anything and waiting until the Boxing Day sales. It's fair to say I made the right choice. 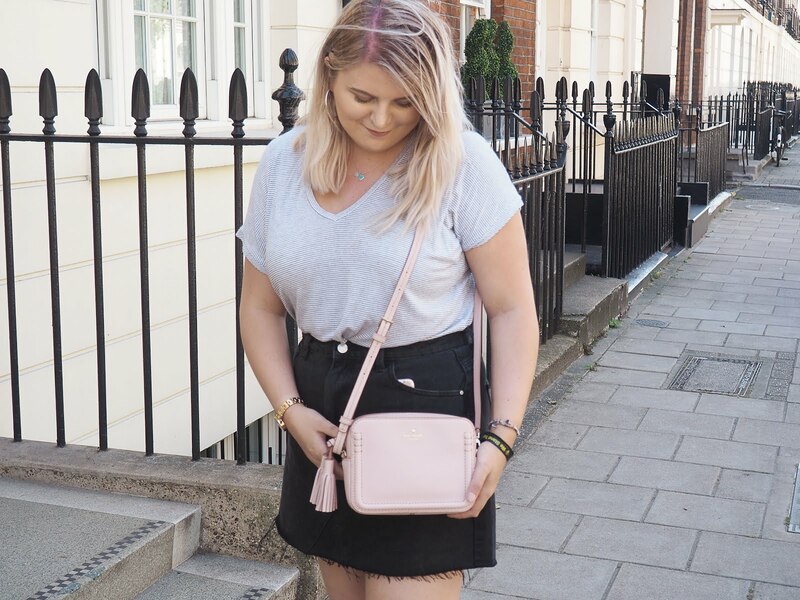 The products I had my eye on had up to 50% off (I think, don't hold me to that) so I was straight in there! 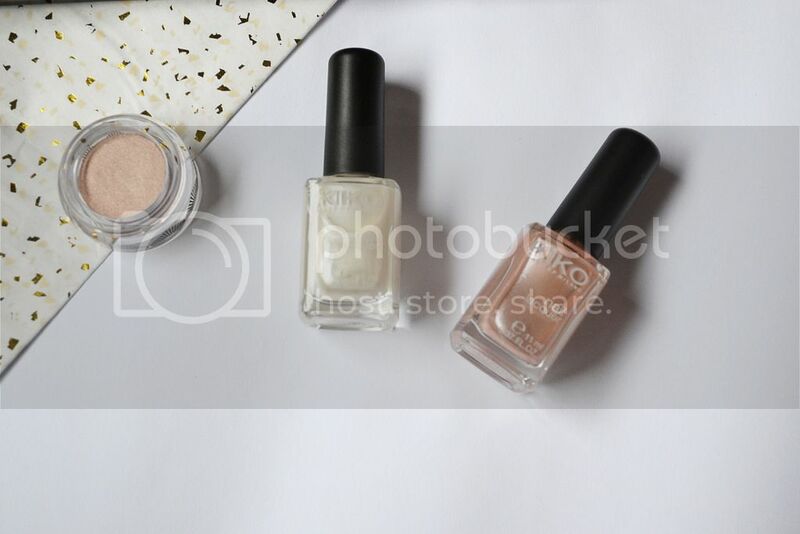 I picked up two shimmery nail lacquers in the shades 221 and 214 as well as a 'metallic shine eyeshadow' in the shade 01. I'd say it's quite obvious my inner girly girl is coming out. And then the Lush Boxing Day sale happened, yikes. It's becoming a tradition of mine to save my moneys for this. 50% off all Christmas products? Yes please! So I may or may not have picked up a couple of gift boxes and some separate bath bombs that are for sure going to take me a while to go through. So for the individual bath bombs I chose So White, Father Christmas (my favourite), Yog Nog and Cinders and let me tell you, my bathroom is smelling wonderful right now. As the Lush website was a bit hectic as I'm sure many of you know, it was a case of quickly decide on what you want and hurry through to the check out as fast as the website would let you. The first gift box I ended up with was 'Merry Christmas'. 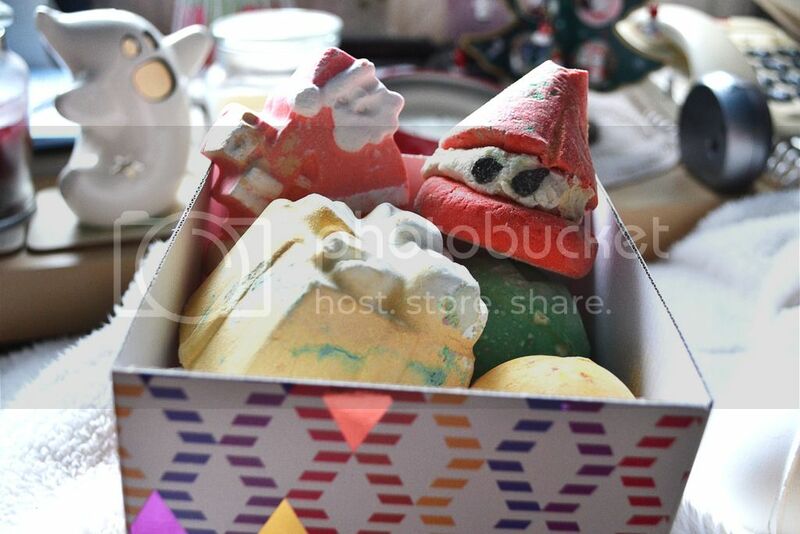 This included; Peeping Santa, Lord of Misrule, Golden Wonder, Dashing Santa and another Cinders. Pretty good value for money I'd say. I wish I could remember the prices but I really can't, sorry! Is it even Christmas without Snow Fairy? Obviously I had to pick up a Snow Fairy themed box, I'm obsessed with the stuff. The 'Snow Fairy's Palace' gift box includes; mini Snow Fairy, Magic Wand, Fairy Dust and another So White. I find the Fairy Dust product really intriguing but I can't wait to use it properly! I've lusted over the CK bralettes for so long and what better time to treat yourself than at Christmas? I picked mine up from ASOS because again, student discount is a bonus. The bralette is so comfortable to wear and fits perfectly, I can't wait to get the bottoms ASAP to complete the cutest underwear set ever. 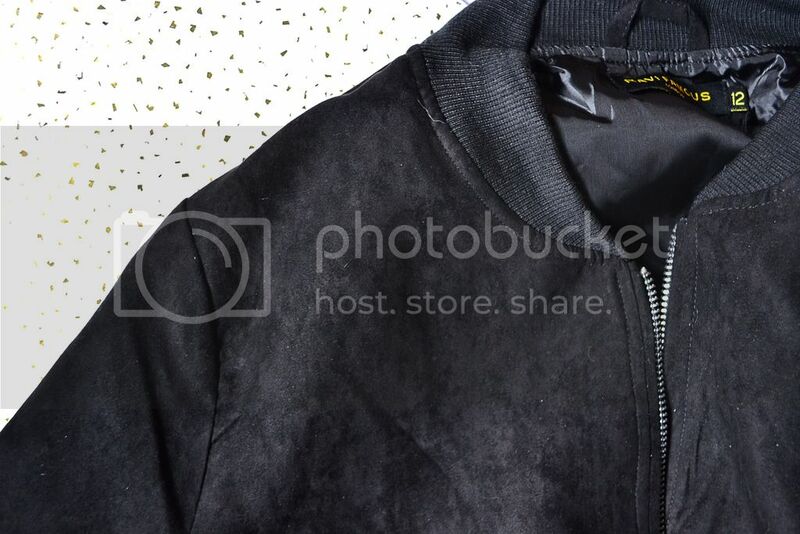 Another item I have been after for quite some time is the perfect bomber jacket, and I finally found one! The one I bought is from Missy Empire which I must admit is a brand I had never heard of before now. 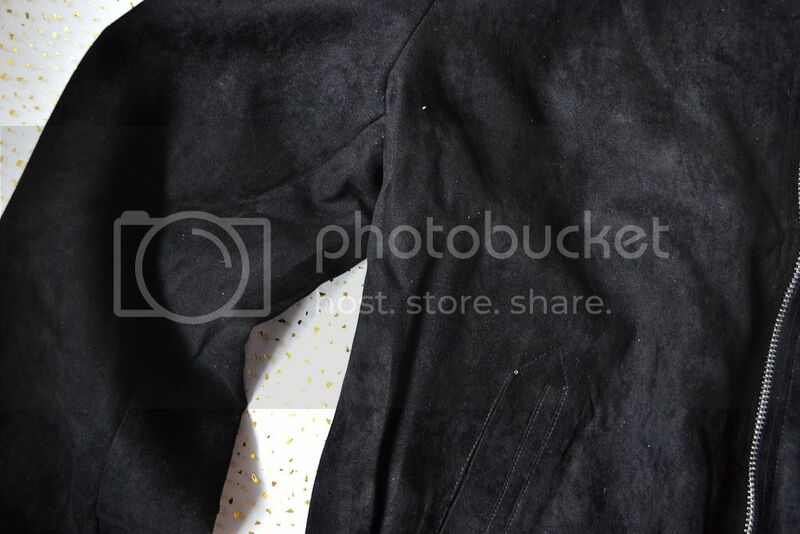 I managed to get my jacket for £25 including delivery and with added discounts, win, win! The fit is great and it keeps me surprisingly warm meaning I can wear it now if I'm not feeling wearing my Winter coat one day. Yankee Candles are possibly the best smelling candles EVER but their prices tend to be a little steep. I took a trip to Cheshire Oaks the other day which is a shopping outlet that happens to have, surprise, surprise, a Yankee Candle shop! 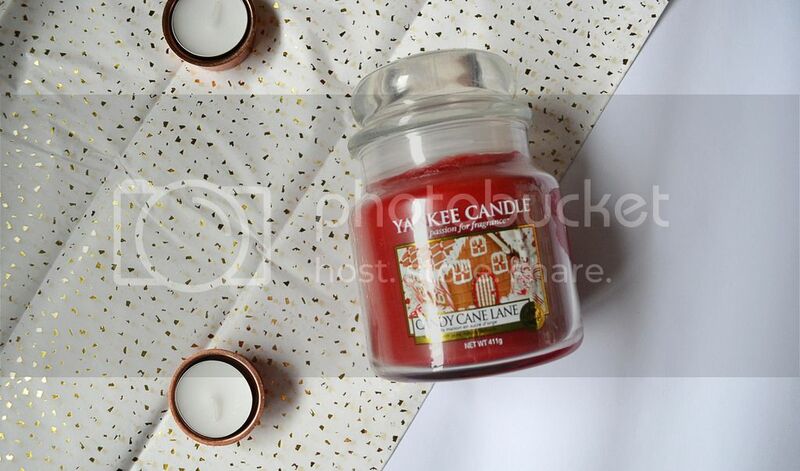 All Christmas scents were 50% off so I picked a medium jar up of Candy Cane Lane for £9.50!!!! My room is going to be smelling minty fresh for quite some time. Last but not least, I popped into Paperchase at Cheshire Oaks and picked up a couple of goodies. 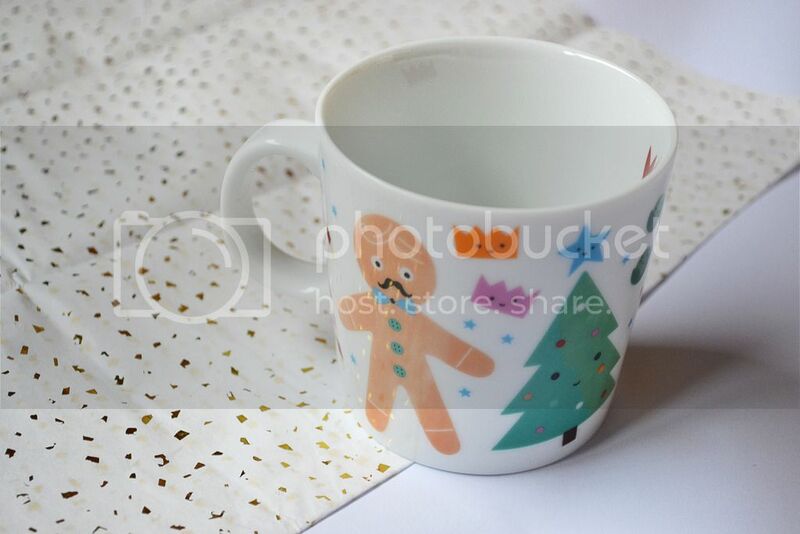 You are correct, that is indeed a Christmas mug. It was only £1.75 okay?! Noticed a new addition to this post's photos? I also got the tissue paper from Paperchase for £2, blogging purposes only obviously. Any excuse eh? What treats did you pick up in the sales? I loveeeee Kiko nail varnish - it wears so well, I have the pearly shade! You got some great picks here, I love the CK underwear sets too! I would love to hear a review of the smoky palette from someone who's unsure about a smoky eye too - I can never seem to get the right balance of shadow without looking like I have a black eye! 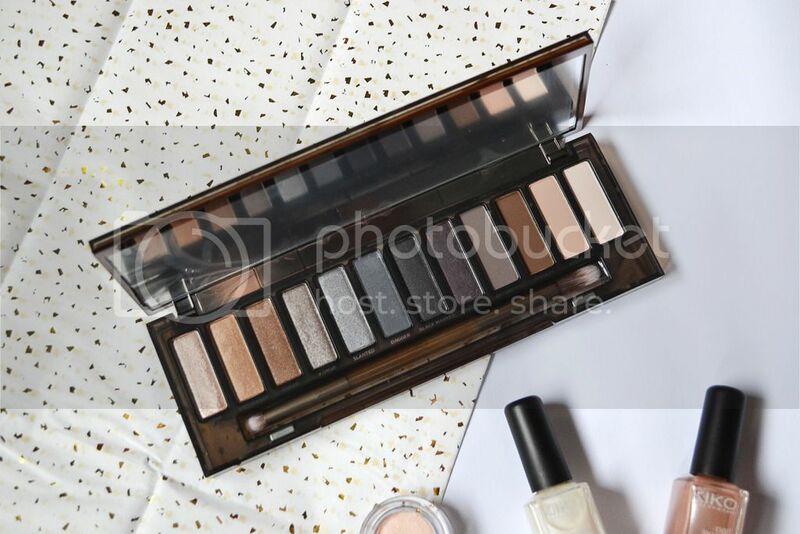 OMG a naked palette! You lucky thing, i wish i grabbed one argh. You definitely picked up some amazing things in the sales. Everything you got from Lush is so pretty and I'm so excited to see a Urban Decay palette here. Although now I'm kicking myself for not buying one! So happy you finally got the smokey palette I LOVE it. Also that lush haul... dreams are made of that!! Wow, you picked up some lovely things. I'm so tempted by the Urban Decay palette, even though I have the others! 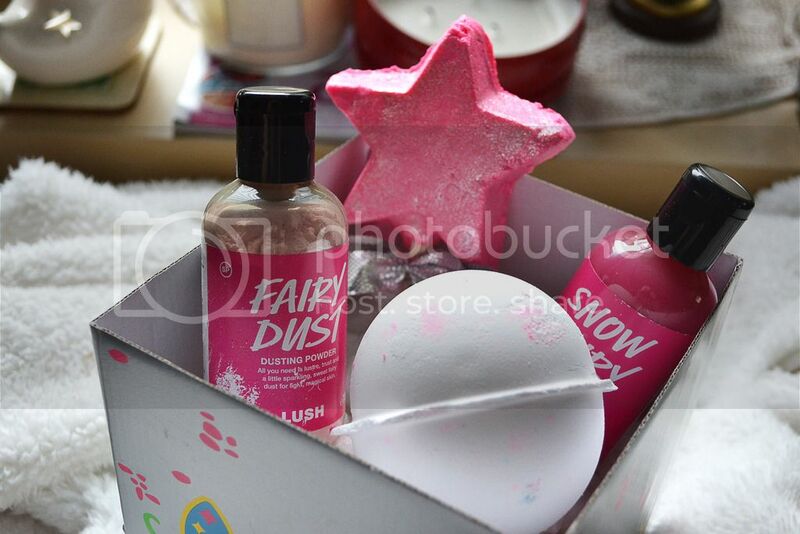 And it is definitely not Christmas without Snow Fairy - my favourite! I am so loving your little fangirling moment at the Naked Smoky palette, haha! Such a lovely haul, Kathryn! I just love it ALL! I want the Naked palette more than life, fancy giving it away to a pal? ... Please? Hehe! LOVE the calvins too!! Turning down a reduced Naked palette price may be blasphemous in the blogging world. I wish we had Boxing Day sales in the US, but alas, we just have Black Friday. AND YES YOG NOG BATH BOMB. It smells so good. I haven't been able to bring myself to use mine just because it smells so good and I want to cherish it forever. 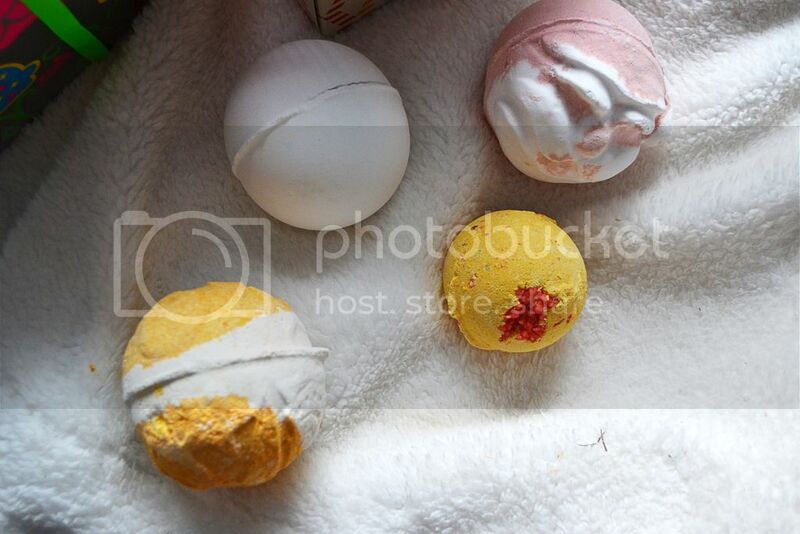 Love the Lush stuff you bought, wish I liked baths because I get so jel when I see other peoples Lush baths! You can't go wrong with an Urban decay palette - they're so versatile! You got some great products here, Kat! Lush always has the best boxing day sales!